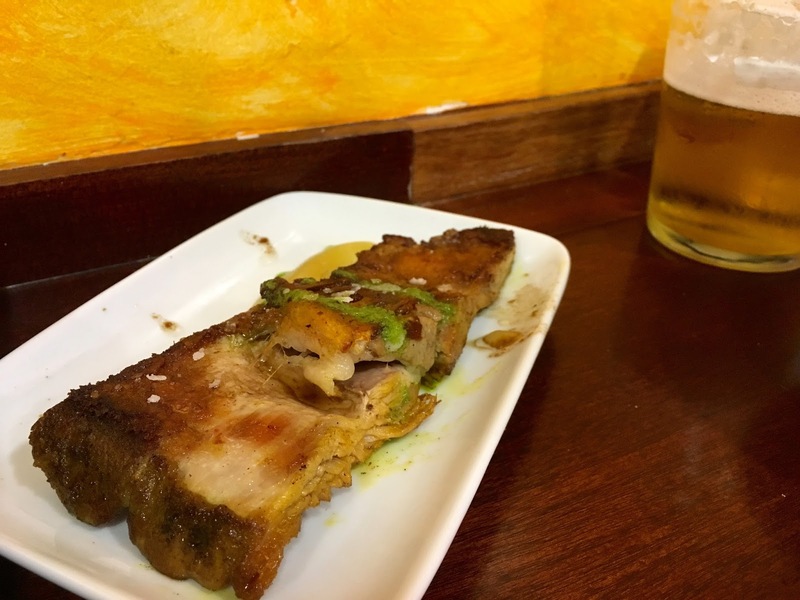 We had one afternoon to check out the pintxos bars in the city, and he did the research to make sure we hit the best bars. It was tough to narrow down to 3 places and only order a couple of dishes from each. 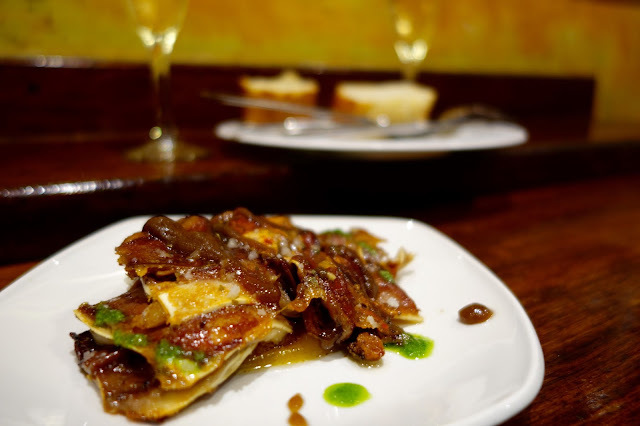 We were quite disciplined to only order 2 or 3 pintxos from each joint. Though it was so tempting to order more. This was one of my favourite dishes of the trip. The sheets of cartilage were slow-cooked to a melty gelatinous texture that dissolved in mouth that leaves a trail of fragrant nutty essence. 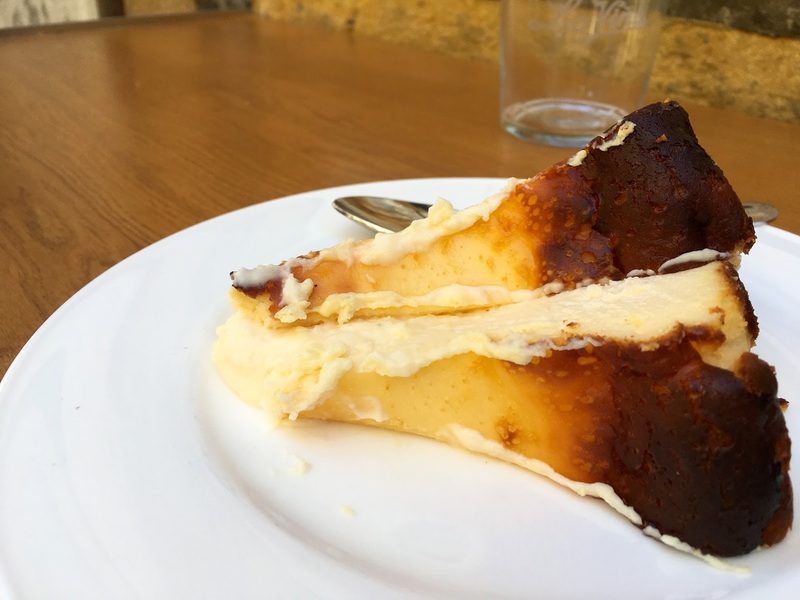 The ears were sweet and savoury from the light drizzle of honey, soft with a bit of chew and a bit of bite, playfully delicious. 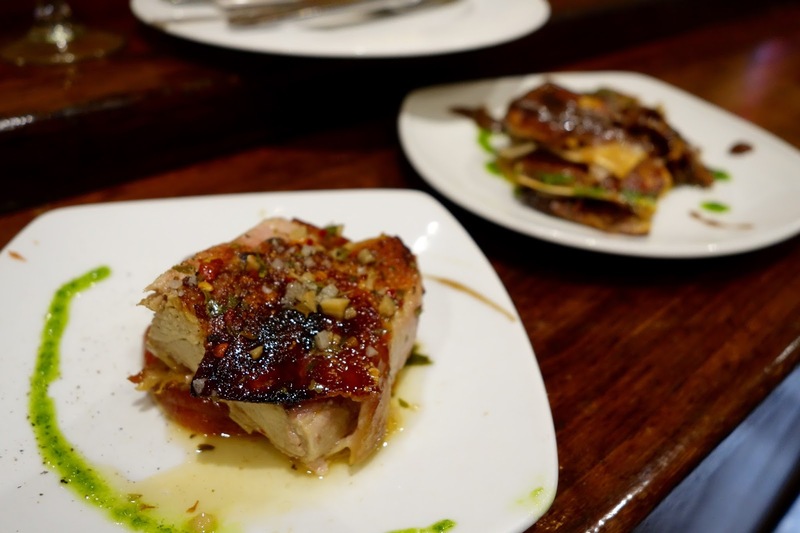 The sucking pig was soft and juicy, sprinkled with an array of aromatics including citrus peels to keep a refreshing note. 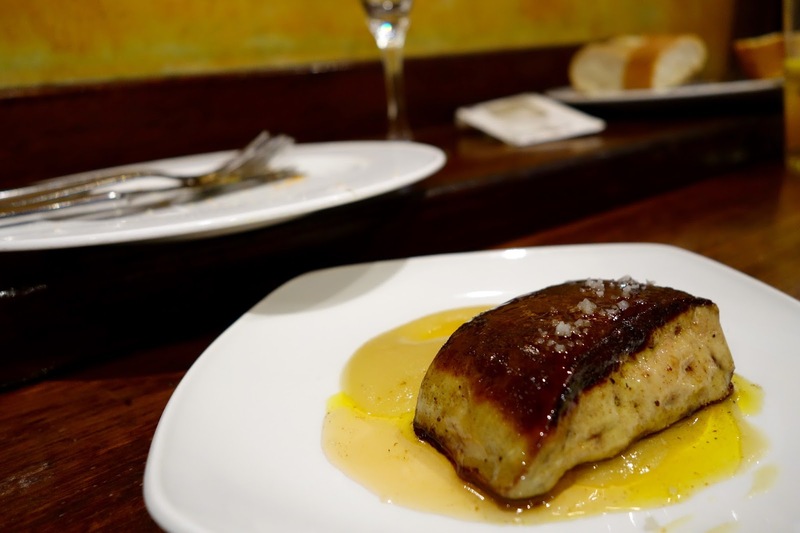 The generous slab of foie gras was beautifully seared to a crispy top, simply seasoned with flecks of sea salt, sat atop of a bed of apple purée, sweet and tangy to life the grease from indulgent foie gras. This pintxos bar was just as casual, with a good mix of locals and tourists. 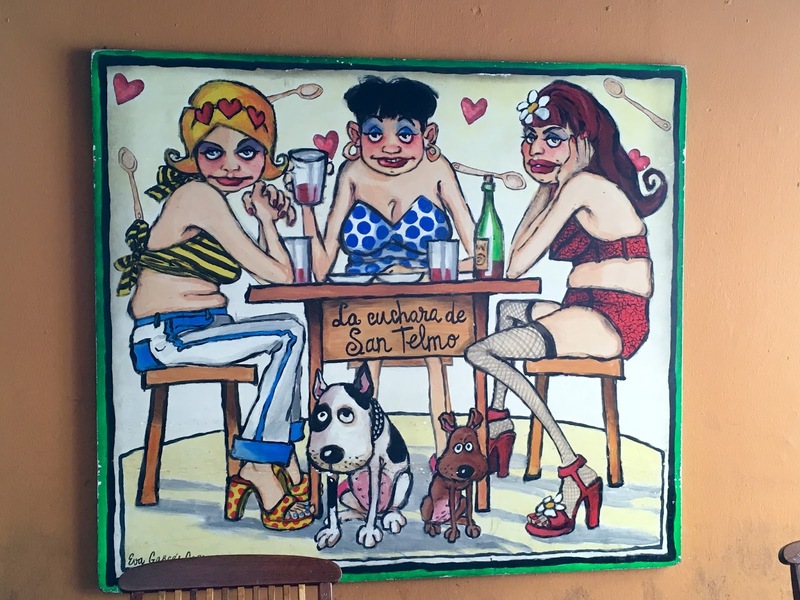 Like La Cuchara, we placed our orders at the counter. Instead of yelling out names when the food is ready, we were just signalled by the lady behind the counter. This was quite good. 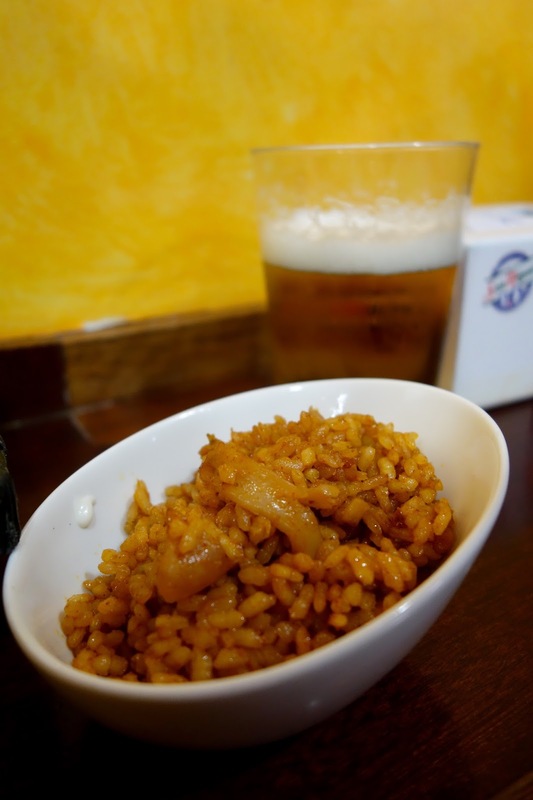 The rice was cooked with bits of squid and a shellfish stock, oozing seafood goodness. 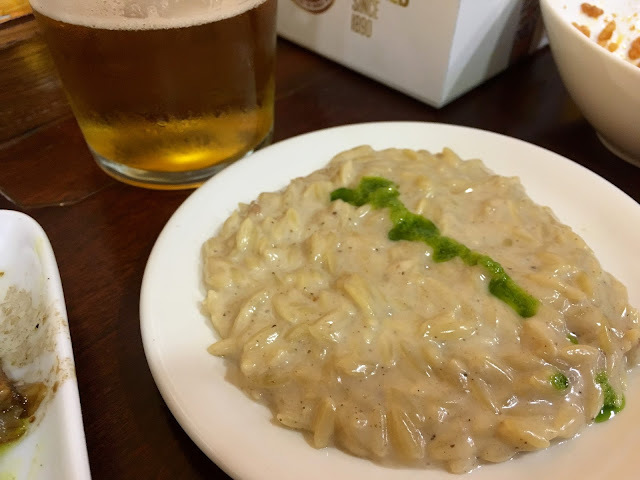 The risotto was very cheesy, al-dente and all. Just not very exciting. This was arguably the least enjoyable pintxos. The thinner part of the rib was dry and sinewy, there was only one bite mingled with softened grease that was good. A bit annoyed we wasted space in our stomachs. This was incredibly delicious. 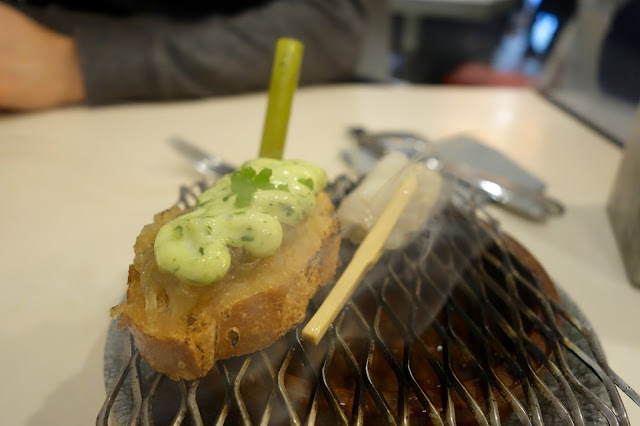 The slithery smoked cod was served with a cube of smoking charcoal, and a small tube of herb dressing. The fillet had a texture similar to sashimi, glistening with a layer of fragrant fish oils, paired with the crunchy caramelised onions on a slice of baguette that had soaked up the sweetness. Crazily good. 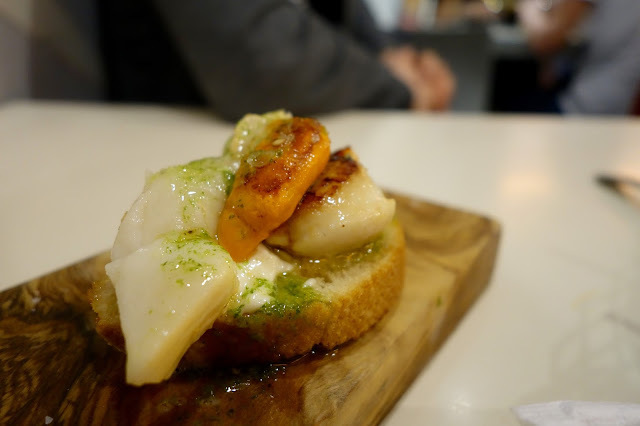 There were two jumbo scallops with their roe intact, simply grilled to perfection to retain its creaminess. We were recommended to have only cheesecake here. One portion came with two slices - dense, rich and velvety with a slightly burnt top - gorgeous.